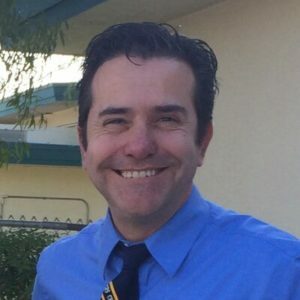 Before becoming the principal at Grapevine Elementary in Vista, California, Rafael started his educational career in the USA in 1993 as a bilingual aide in Encinitas Unified. Rafael then worked as a teacher in Vista for 14 years. He took leadership roles as bilingual lead, leadership team, district committees, ELD Resource teacher, and admin designee at his elementary sites. Rafael has a masters degree in Biliteracy from CSUSM, received a Biliterate Leadership Award from the SDCOE and was selected Principal of the Year at the Guided Language Acquisition Design (GLAD) Conference. His school has recently opened a Dual Language Immersion Program in English and Spanish.